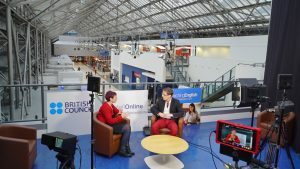 Johnston Media were the British Councils Live streaming Partners for their conference at the Scottish Event Campus in Glasgow. 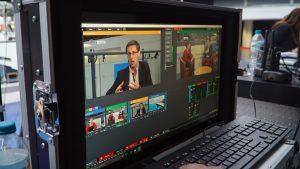 Our brief was to Live stream the main plenary session, syndicate meetings, and interview keynote speakers. Our Live streaming studio was set up on the Terrace Balcony giving us the ideal backdrop for our studio. 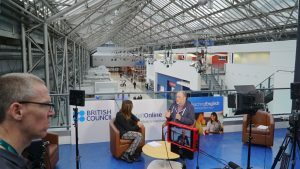 We Live streamed around fifty Hours of Conference footage and fifty interviews in the Live streaming studio to a global online audience of over 50,000 teachers.